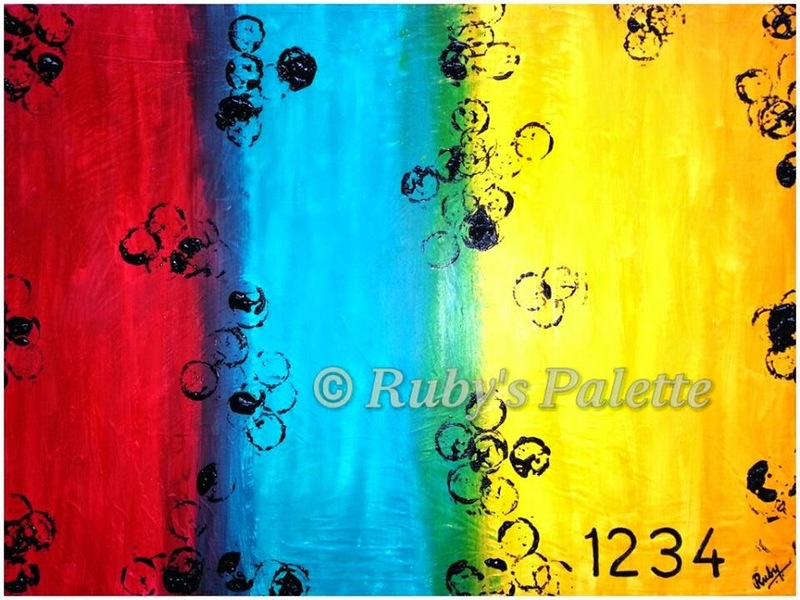 Ruby's Palette-an Art Page: Thanksgiving & a note on Life !!! Thanksgiving & a note on Life !!! My life means a lot to me..
Not because I love my life, But because I love the people in my life.. The world calls them family, friends & I call them my World..!!! With this note would like to thank my family, friends for being with me always and making me what I am today. Presenting my latest painting-"Colours of life"- an abstract mixed media painting in acrylic colours and rich texture. This painting is an expression of happiness and celebration of life in all its colours !!! Do keep coming again to my space ! P.S. Pls don't forget to follow my blog if you like my work. I would love to hear from you at rubyspalette@gmail.com.